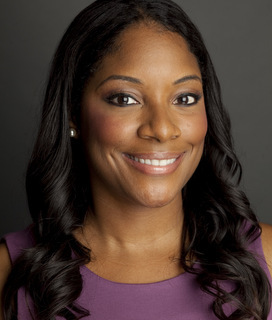 For more information on how to book Zerlina Maxwell as a keynote speaker for your conference or client event, please get in touch with Jeana Webster at jeana@chartwellspeakers.com or call on +1 972 385 1021. John Hulsman, an expert speaker on risk and the political economy of the Middle East, discusses what brought about the Gaza crisis and what Obama should (and crucially should not) do about it. Obama must reiterate the basic point that it is unlikely that Hamas wanted this conflict. A ceasefire backed by the Americans would give Hamas a face-saving way out of its present muddle. It is imperative that the White House opts for a limited, tactical deal; Obama must not try for more than this. Click here to read the reasons why. The global commentariat is awash with talk of progress (or not) on America’s fiscal cliff, and what the economic ramifications of a failure to deal with it would be. However, what more often goes unnoticed is the very real impact this focus on the cliff could have on issues beyond economics. This is the argument of Ed Luce, the FT’s Washington Bureau Chief. In today’s column he says there is a danger that the cliff is distracting the Obama administration from taking swift action on pressing foreign policy issues, in particular Iran. For him, delay and miscalculation on the Iran risks ruining the rest of Obama’s second-term agenda. If he fails to quickly develop a diplomatic strategy to halt Iran’s nuclear programme before it crosses the red line of weapons-grade plutonium, Mr Obama will likely find himself embroiled in the US’s third war with a Muslim country in a decade. Such a war would de-stabilise the region further and be very hard to win. But even if were succesful, it would only be likely to halt Iran’s programme temporarily, and it would almost certainly harden its resolve. The fiscal cliff is not all Mr Obama and his aides should be worrying about, but at the moment it seems that that is the case. To find out more about Ed Luce, or to book him as a speaker for your conference or event, please contact Leo von Bülow-Quirk at leo@chartwellspeakers.com or call 0044 (0) 20 7792 8000.